At the CBU, we are committed to Open Science. Since 2015, we’ve had a dedicated Open Science committee with members from all levels of seniority, with rotating Chair, that meets termly to discuss best practices and future plans to further advance education and implementation of open science practices within and beyond the unit. We are members of the UK Network of Open Science Working Groups (UK-OSWG). Since 2006, we have endeavoured to make all our publications Open Access, to ensure our work is available to other scientists as well as members of the public (as required by the MRC and now UKRI). You can find our publications on our online bibliography – get in touch if you have any trouble accessing them. Moreover, many of our recent papers are available as preprints, e.g, on BioRXiv, allowing wide dissemination and accessibility which often improves papers before the final versions are published. Although we often work with sensitive data, we try to share as much data as possible whilst maintaining and abiding by informed consent. Since 2017, all publications at the CBU have their raw data and analysis scripts stored in our Data Repository for posterity. Requests for those data/scripts can be made after finding the relevant publication on our online bibliography or directly via our Data Repository inventory. A fundamental part of our science is the development and application of dedicated neuroimaging, experimental and statistical toolboxes. These toolboxes, as well as more general methods wikis are available from our WIKIs, and are accessed by thousands of researchers across the world each year. Additionally, we have a CBU github page that brings together potentially useful code created at the CBU ranging from small snippets to full-fledged packages. Previous members of the CBU have written extensively about more open publication models, e.g, Frontiers Special Issue. We are considering a process for CBU technical reports, or perhaps a CBU cover journal to preprint archives, for papers (e.g, null results) that authors find difficult to publish in current system. The committee has also published a paper about the idea of Pre-Registration Posters, which we are delighted to see has been taken up by at least one major conference so far. Within the CBU, we regularly hold talks and debates discuss all aspects of Open Science, from data sharing to preregistration to open peer review. For the last 2 years, we have organized CBU Open Science days, with internal and external speakers. For example, you can download the slides and watch videos of the talks from our inaugural 2016 meeting and subsequent 2018 meeting. We have also compiled a list of Open Science resources. 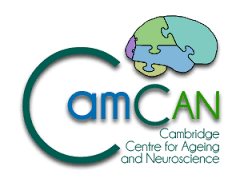 At an institutional level, members of the Open Science committee have consulted for the MRC, the Wellcome trust, and the University of Cambridge to discuss best practices.